The metal sector is at a vantage point on Dalal Street. And it is likely to remain so, thanks to expectations of steady operational cash flow on demand traction in coming quarters. India Ratings' outlook revision of the sector for 2018-19 to stable from the earlier negative has also come as a shot in the arm. On the returns front, the stock has been a trailblazer. Most metal counters have rewarded investors handsomely over the past two years. The BSE Metal index, for instance, soared 130 per cent between February 26 of 2016 and 2018. According to India Ratings, the companies in the metal space stand to benefit from an uptick in demand, softening of input costs and Chinese capacity closure. One look at the returns chart can give you a fair idea. Jindal Steel and Power (JSPL) zoomed 400 per cent in the past two years to Rs 267.40. VedantaBSE -1.90 %'s jump was 377 per cent, HindalcoBSE -2.04 %'s 254 per cent, Tata Steel's 187 per cent and SAIL's 150 per cent. The BSE Metal index, on its part, rallied to 15,483 from 6,749 during the same period. However, select stocks on the list are off their peaks, down up to 65 per cent from all-time highs. IIFL has a positive outlook on SAIL, which has been "an outperformer on the back of their export and local business". "The company is now consolidating. So, any decline in SAIL would be a good buying opportunity,” Bhasin added. Better returns are one of the big reasons why experts are advising to stay invested in the sector. “One should still stay put with metals despite the fantastic rally in the metal stocks. Going forward, we believe that still there is more room on the entire sector and steel has been particularly doing quite well. We have the infrastructure coming in. The way the metals cycle has turned on and maybe a few supply constraints, all this put together makes us believe that there is still some more upside in the steel stocks as well,” said Rahul Shah, Associate V-P at Motilal Oswal. "So, one should still stay invested or maybe, look at Tata Steel and JSW Steel as a fresh buy from the current levels. There is still more money to be made on both the stocks." Margins of steel and zinc companies are likely to stay steady, according to India Ratings. The metrics may improve in the aluminium segment with softening of input prices, but countered by weak premiums in export markets. Copper business is likely to face margin headwinds with a drop in treatment and refining charges for 2018 and absence of inventory gains. Prices are seen to moderate through the second half of 2018-19. To top it, metal companies have done a good job on top line, Ebitda and PAT growth for the December 2017 quarter. National Aluminium bottom line jumped a good 402 per cent year-on-year. Tata Steel and JSW Steel posted 390 per cent and 148 per cent growth in profit. SAIL even marked a turnaround, with a net profit of Rs 43.16 crore in the third quarter over net loss of Rs 794.84 crore a year earlier. Similarly, net loss of Jindal Steel and Power (JSPL) narrowed to Rs 272.73 crore, from Rs 453.26 crore previously. The thinking at Edelweiss Research is realisations continue to remain robust across the space, and operating leverage benefits are evident for SAIL and JSPL. Vedanta, Hindalco, Tata Steel and Hindustan Zinc are among the top picks of the brokerage house. Metal players are evidently upbeat about their growth prospects. For instance, Hindustan Zinc is confident of achieving 1.2 mt production in FY20 with cost of production per tonne declining to $850. 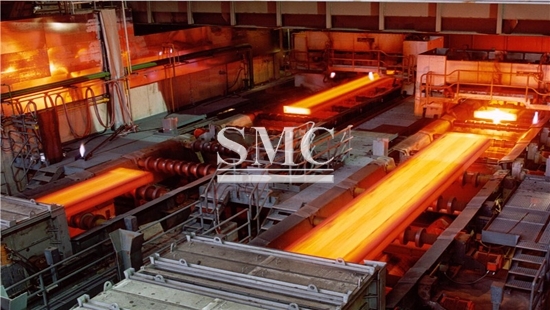 “The steel sector in India, which had been under stress due to lack of demand, is finally picking up. Economic reforms initiated by the government such as minimum import price, anti-dumping and safeguard measures and quality control have provided extensive support to the industry. Undoubtedly, these measures have added new dimensions to industrial growth in general and the steel industry in particular. One may invest in stocks such as Tata steel and SAIL for the long term,” said D K Aggarwal, CMD, SMC Investments and Advisors.